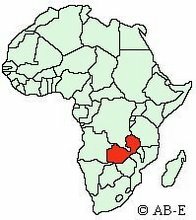 ZEELAND -- A few years ago, Zeeland doctor Christa Murphy watched a Zambian mother and her young son waste away and die of AIDS. Not long before the boy died, Murphy looked into the child's eyes. "He just stared past me with hollow eyes. My heart was really broken," Murphy said. Not long after, Christa, 33, and her husband, Rob, 38, decided at least one HIV-positive Zambian child would not suffer the same fate. Today, they are the proud parents of Isaiah Murphy, 2, a Zambian orphan they adopted in December. A boy once likely to die by age 3 is now healthy, smiling, and with no sign of the virus. "There is just a lot of hope when you see him," Christa Murphy said. The Murphys are to be honored for their commitment today at the White House lawn, part of the annual Angels in Adoption ceremony. Nominated by members of Congress, recipients from all 50 states are recognized for giving permanent homes to children in need. "When you have a family like this who makes a decision to adopt a child, it just sends out such a positive message," said U.S. Rep. Peter Hoekstra, R-Holland. Hoekstra nominated the Murphys for the honor. "People in these other countries, they notice that Americans are not going over and taking the healthy kids." For the Murphys, their journey toward Isaiah began with a trip to Zambia in 1996. We decided we would like to spend a year somewhere serving in another culture. We ended up in Zambia and just falling in love with the Zambian people." Nine years later, they were back on another mission trip, this time with two daughters of their own. The Murphy family today includes three biological daughters, Acacia, 8; Christianna, 5; and Katriya, 2. Christa Murphy, a family practice physician, encountered a woman at a hospital in northwestern Zambia in the late stages of AIDS. The Murphys were there as part of World Medical Missions, the medical arm of the international relief organization, Samaritan's Purse. "She was lying on her back. She didn't have the strength to sit up," she recalled. About a month later, the woman's 5-year-old son was admitted with severe malnutrition. He was emaciated, his eyes sunken, his body defenseless against infection. "It was really too late for him," she said. 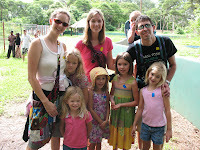 In September 2007, Rob Murphy returned to Zambia with a team from Grand Rapids-based Bethany Christian Services. "I got a call from the orphanage that said they have a little boy. They asked if we wanted to adopt him." He was able to spend a few hours with him before returning home. Murphy learned his background: Born in June 2006, he contracted the virus at birth. His mother died of AIDS. His father was reported to be unable to care for him. Left to the Zambian medical system, he would have been lucky to survive past age 3. But as their adoption date approached, the Zambian government sent out mixed signals about whether it would continue to allow international adoptions. The Murphys boarded a plane in December with no certainty the adoption would happen. "He was actually the last child adopted out of Zambia internationally at the time," Rob Murphy said. When they brought him home, Isaiah had 475,000 copies of HIV per milliliter of blood. Thanks to a cocktail of antiretroviral drugs not generally available in countries such as Zambia, the virus today is undetectable. The Murphys expect a long and productive life for their son. "His prognosis is very, very beautiful. The data says there is no reason he can't grow up and have a family and not pass HIV on," Rob Murphy said. The Murphys hope others see the same need they witnessed in the eyes of a child. "These kids are dying, five a minute every day. We really have to do something," Rob Murphy said.